We now know that Air Asia flight QZ8501 crashed. And while we cannot be absolutely certain why it did so, the recent history of aviation disasters, which I have studied as a safety analyst for the last three decades, gives us a very good idea. Over the past 20 years, 1,800 airline passengers and crew have been killed because pilots simply lost control of their aircraft. Loss of control in-flight, not caused by any structural or technical problem, has become established as the aviation accident category responsible for more passenger deaths than any other. Back in the Seventies and earlier, airliners used to crash far more often than today, but for different reasons. Engineering and design then were less advanced, so technical failures of the engines, airframes, or the pilots’ instruments (avionics) were far more common, and the aircraft themselves were more difficult to fly. But in those days, loss of control by the pilots of a sound aircraft hardly ever featured. The U.S. Federal Aviation Administration has spent five years examining why perfectly airworthy planes now just fall out of the sky. The FAA’s study, published last year, was called The Operational Use of Flight Path Management Systems. That rather turgid title refers to the computers that manage today’s autopilots. The pilots have to manage the computers. Pilots touch the traditional flight controls only for a couple of minutes in every flight, and spend much of their time programming and monitoring the FMS — the flight management system. The FMS is their main computer interface with the aircraft, and directs its flight via the autopilot. The FMS flies and navigates the aircraft more accurately and smoothly than a pilot could, and hardly ever fails. The pilots learn to trust it. In other words, pilots used to fly by brawn and brain. Now they do it by computer, with the brawn and brain as a backup. That, at least, is the theory. In practice most pilots have not been trained for the modern piloting task. Regulations regarding what they must regularly practise — by law — are out of date. A few airlines are voluntarily adopting evidence-based training — tailored to pilot needs rather than out-of-date regulations — but only a few. Not that pilots can be completely replaced by automation. This is because only one in 10 flights is completed as originally planned; as events change, so pilots are able to mitigate the risks. The prime one is that if the automatics fail, the pilots are no longer practised in managing without them. This leads pilots to lose confidence in their own traditional flying abilities, so when things go wrong they have a tendency to try to restore failed automatic systems when, in fact, they should be flying the aircraft to keep it safe. Now back to the AirAsia accident. Control was lost shortly after the pilots requested clearance to climb and alter course to avoid storms. This has not been the only such fatal crash recently: three others have taken place under remarkably similar circumstances. On July 24 this year an Air Algerie flight over West Africa also went missing shortly after the pilots reported changing course to avoid storms in their path. About two days later the wreckage was found in desert in Mali. In June 2009 an Air France Airbus A330 — flight AF447 — was lost on a Rio de Janeiro-Paris route over the South Atlantic. The pilots were manoeuvring to avoid storm clouds at the time. 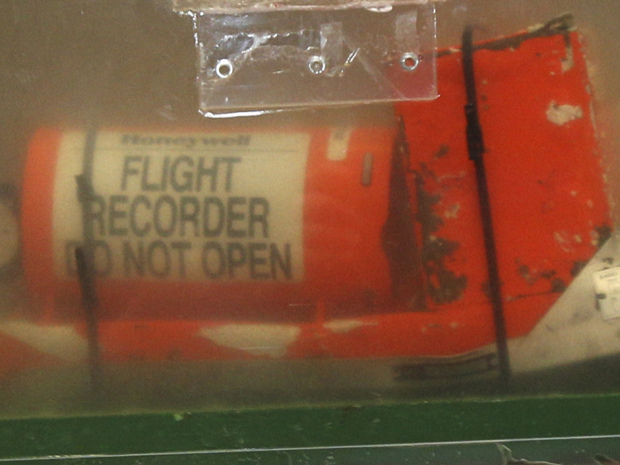 The aircraft’s “black boxes” were eventually recovered, revealing that the pilots had been confused by a momentary loss of airspeed information. The autopilot relinquished control to the pilots, but they quickly lost control of the aircraft. The icing that had temporarily blocked the external airspeed sensors was related to the storms close by. In another weather-related loss in August 2005, a West Caribbean Airways Boeing MD-80 flying from Panama City to Martinique went out of control while the pilots were discussing how to deal with engine icing the aircraft seemed to be suffering in high-level cloud. The crew told air-traffic control that the plane could not maintain altitude. The stall warning — telling the pilots the aircraft was flying too slowly to generate lift — operated during the descent, which took just 210 seconds from cruise at 33,000ft to impact with the ground. In all three cases there was nothing wrong with the aircraft that would have prevented the pilots retaining control if they had been practised at operating without the automatics. The loss of the AirAsia A320 and all 162 people on board may well add to this sad catalogue of avoidable accidents. The auto-pilot will refuse to take the aircraft to what is called "Coffin Corner". comprehension that some of those instruments are wrong. The data from this aircraft is consistent with a loss of control due to the pilots failing to fly the airplane and not a sudden catastrophic failure of the airplane. While accident rates are a quarter of what they were 20 years ago, the general ability of pilots to be able to fly has continued to decrease. One of the prime reasons is an incestuous attitude to flight training of hiring new graduates as instructors instead of seeking those with real experience and ability to share that experience and knowledge to a future generation. aspect, that could be a combination of dictator and submissiveness. them, they simply change the information to be politically correct. the most demanding and fussy passengers one can imagine. If a judge finds out that a pilot might be appealing his decision, they do and will send a letter to the airline that they don't wish to fly with that particular pilot which is as good as sending a letter demanding that the airline terminate that pilot for no other reason that he happened to have the bad luck of being a male victim of domestic violence which in Ontario is heresy and deserving of a restraining order, a vexatious litigant order, and of course, termination of any and all relationships with children. with their eyes ears and mouth shut.